Petaluma Forklift Certification, Get Online Training Today! Located in beautiful Sonoma County, Petaluma offers its residents and guests a gorgeous landscape of vineyards, greenery, small businesses, and fun activities to live and work around. 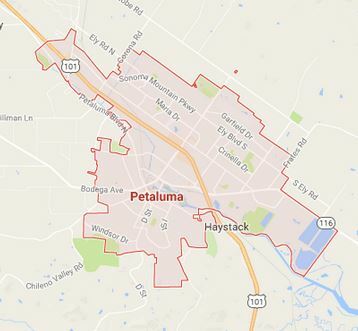 Petaluma offers a great quality of life for everyone, and is a great place to look if you’re wanting to start a new career. Have you considered becoming a forklift operator? Equipment drivers are always in demand, in Petaluma and all throughout the country, and by training in forklift operation you can be on the fast track to a rewarding career that offers a plentitude of job opportunities. Why Get a Petaluma Forklift Certification? While forklift operators are in demand in Petaluma, that doesn’t mean employers aren’t picky when it comes to hiring job applicants. OSHA fines companies that have untrained workers operating forklifts, so to complete forklift training is to qualify for jobs. The benefit to you is that you will be given the tools and knowledge you need to protect your safety on the job when you invest in forklift certification Petaluma. You won’t have a hard time finding a forklift job in and around Petaluma when you complete your Petaluma forklift certification. A few of the available job positions include forklift operator, forklift mechanic, warehouse worker, delivery material handler, dock worker, and more. Some of the top companies hiring forklift operators in Petaluma include Kala Brand Music Co., Dr Pepper Snapple Group, Caterpillar, Bronco Wine Co., Encore Events Rentals, and many more! If you love the idea of working for a local winery or brewery, you’ll love being a forklift operator with a Petaluma forklift certification because you’ll get first pick at these jobs! Don’t get just any forklift training. You need an OSHA-compliant program to be as prepared as possible when starting a forklift job, and to be the most appealing to potential employers. Getting the right forklift training is crucial for both your safety and your future career, and we’ve made it easy at our forklift school, CertifyMe.net. Our online program teaches you everything you need to operate forklifts, perform inspections, and avoid hazards that cause accidents, all from any device with an internet connection. We offer a few courses that teach Warehouse Forklifts, Pallet Jacks & Order Pickers, and Rough Terrain Forklifts and cost only $59.95 each for the OSHA-compliant forklift certification Petaluma you need for your career! Create an account and complete your Petaluma forklift certification in about one hour!